We’re one of the city’s longest-running electrician companies and list home-owners and small and large businesses among our many clients. Starting out many years ago as a one-man enterprise the company now employs a number of highly skilled technicians that are trained to handle all aspects of electrical work. 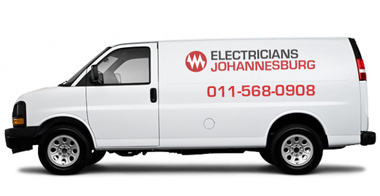 Today we are one of the Joburg’s most trusted services and we firmly believe there is not a thing we can’t fix. In order to keep our position as citywide industry leaders, it is imperative that we provide long-lasting and effective results – every time. We don’t just think about getting the job done; we make sure that the problem does not reoccur and cost you further inconvenience of time and money. Along with these basic principles, it is another fundamental policy of ours that we be absolutely clear about our pricing and the work that needs doing. We never leave our customers scratching their head at the receipt! Lastly, in order to fully satisfy our customers, we make ourselves available as and when you need us. We operate seven days a week – including holidays – and our hotline number is always open, should you wish to schedule an appointment, get a quote or request an emergency call out. Feel free to call any time or if it is preferable, send us an email and we will endeavour to respond within 24 hours.